Refill, re-use, recycle – and relax. A handy refill for your Lavender diffuser, featuring the soothing hints of lavender, rosemary, thyme and mint. Using essential oil diffusers improve your health, increase your energy and most importantly help you sleep better. Using a diffuser is also a great way to keep cold, flu, and other such illnesses at bay. As well as this, essential oils can also be used to boost the immune system. If you are prone to allergies or other breathing disorders, try diffusing essential oils in the room (or rooms) of your home where you spend the most time. Diffuser Refill with hints of lavender, rosemary, mint and thyme. Lavender – comes from the latin name Lavare which means ‘to wash’. This is due to its particularly clean aroma. Lavender is also a very calming oil which is popular for diffusing at night time. Rosemary – It’s aroma has been linked to improving mood, clearing the mind, and relieving stress. It stimulates mental activity and is a good remedy for depression, mental fatigue and forgetfulness. When your brain is tired, simply inhale a little rosemary oil from a diffuser to remove boredom and renew your mental energy. Mint – The strong aroma of the herb is very effective in clearing up congestion of the nose, throat, bronchi and lungs. Therefore aids in the relief of the common cold for example. Mint is a natural stimulant, and the smell alone can be enough to charge your batteries and get your brain functioning on a high level again. Thyme – A regular inclusion of thyme in your diet can help to boost your mood and ease your mind when stressful thoughts come calling. 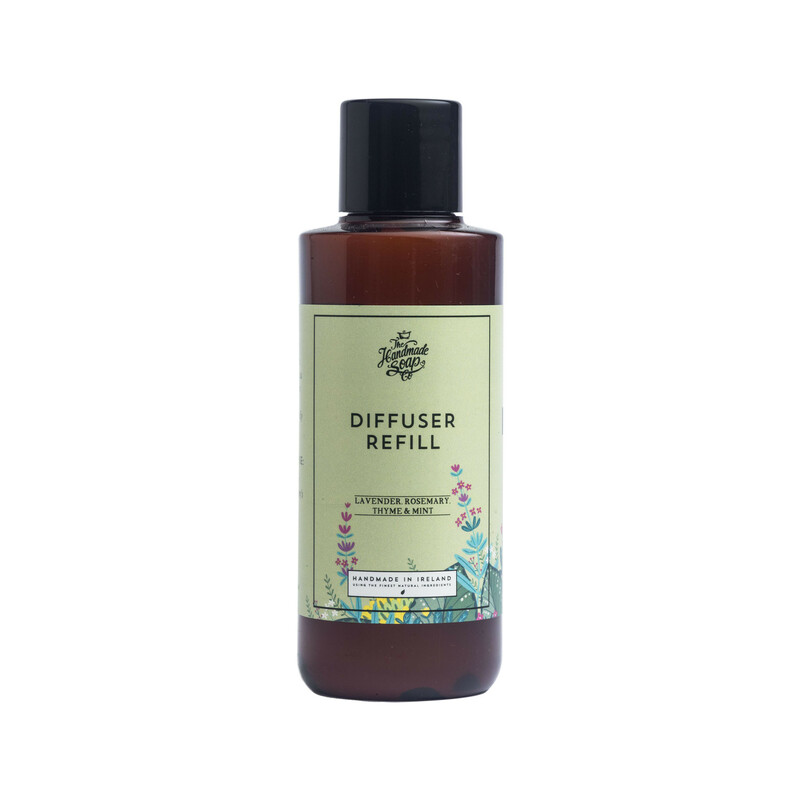 Our Lavender Diffuser Refill uses a solvent which is made from a renewable source. With excellent solubilising power, low evaporation rate and low odour, this is the best diffuser base we have found. Scented with essential oils and essential oil distillates.